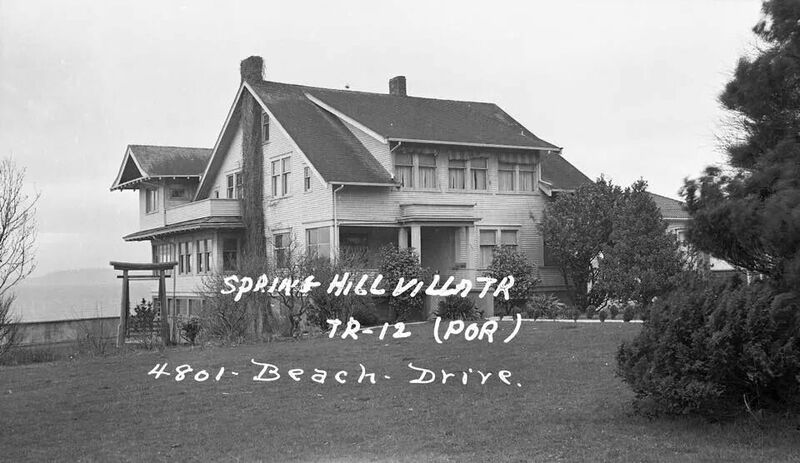 House from the 30s torn down in the 60s with lot subdivided into three lots with middle lot now at 4731 Beach Drive. Note roof of current existing house in right side of photo with tile roof. Photo obtained from Puget Sound Regional Branch archivist.